We are proud to not only build exceptional homes in BC, we build spaces for local entrepreneurs to begin their new business. How do would you describe The Handpicked Home to a friend you haven’t seen in a long time? As a lovely escape into a distinctive lifestyle shopping experience, meant to evoke nostalgia and warmth through each item and design. 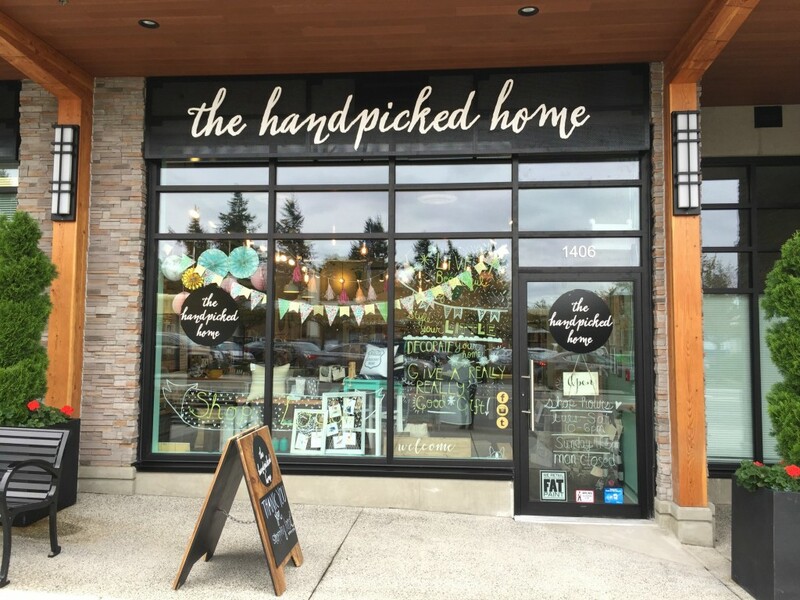 Located in the heart of uptown White Rock, our mission at The Handpicked Home is to provide our customers with a unique and fulfilling shopping experience through introducing handpicked and locally designed home décor and gift items, meant to warm the heart and home. From reclaimed furniture to vintage flower vases to inspiring baby items, our shop will allow you to decorate your home through a style that is truly unique – you! Is there anything in particular you want to highlight about The Handpicked Home? Primarily everything in shop is locally or artisan made, which means not only do our lovely customers supporting us as a small business, but also local makers across BC and Canada who make great things. This quality about our shop is especially important to the community of White Rock, which has long been an advocate of independent retailers & service providers. You don’t have to go far to shop local! What made you choose Saltaire for your place of business? The Saltaire building is such a beautiful site! Our shop stands out not only because of our location to the busy street, but also because of the building it resides in. We are lucky to be part of such a stunning development in White Rock. What has your experience been working with Ledmac? Pretty smooth! We hope to have a long term relationship with Ledmac with many years of shared success and we think it has started off great. Ledmac took a chance on a new business and we hope we’ve been able to show that we are in it for the long haul! What is your website and social media handles? See more of this beautiful gift shop in the gallery below, or better yet, come visit them in person at 1406 Johnston Road in White Rock.